Just upload your images, create a menu item and you're done. Please find more information on the Event Gallery Product Page. Don't miss the Video Tutorials! Version 3.4.1 offers a lot of additional features regarding the buying process. There are new mail templates which allow you to easily create your own mails without dealing with localization keys keys. Use the template engine Smarty to adjust those templates even more. A very important new feature are the uncropped thumbnails! 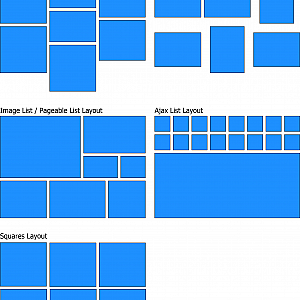 Browsers are now able to do some small resizing work themselves. Event Gallery delivery the best matching thumbnail size for every case and the browser does the final scaling. 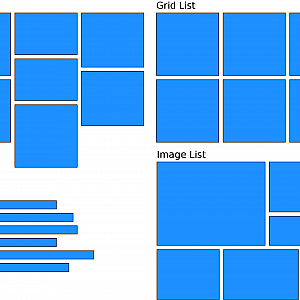 That means everything stays responsive and adaptive but you thumbnails will look much better. The most important new feature will be the Flickr integration. While Google Picasa is supported since the beginning, Flickr will be the second integration for external images. You'll be able to load your Flickr photo sets into Event Gallery and present them on your website. Joomla! Tags integration is part of this version too. Instead of using Event Gallery specific tags you can leverage the Joomla! tag system. Another great feature are scale prices for your images. They are available in version 3.5 as well and allow you to sell the same format at a different price tag depending on the quantity your customer orders.